We are a local group campaigning against plans to allow Heathrow to increase noise, pollution and traffic congestion in Hammersmith & Fulham. London and Greenpeace. Other parties may join. The case could be heard as early as this autumn; hearings could stretch well into 2019 with appeals to higher courts. Arguments are likely to centre on air pollution, climate change, surface access and failures of process. Our own borough are fully involving us. We will keep you in touch with developments. 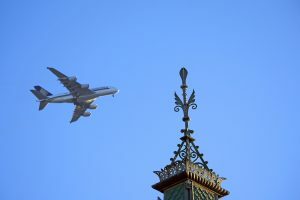 Heathrow’s planning application will be developed over the next year or so, and is unlikely to be submitted before 2020 at the earliest. There will be some consultations along the way and we will keep you informed about these. We are is well linked to the steering groups of the No 3rd Runway Coalition and HACAN. Just now there is no particular local action to be taken, but 3rd runway headlines in the future could act as a springboard for local events. The greatest need remains making local people aware of what may hit them if there is a 3rd runway; many residents are still blissfully ignorant of this. Perhaps we need an event simulating the likely noise environment with a 3rd runway. runway to influence politicians and others. Help may be needed with this research. And let’s remember history. In 2010 6 local authorities took the Government to court about the 3rd runway decision made by Government in 2003 and confirmed by them in 2009. The court decided that the 3rd runway could not go ahead. You can find out more about what else has happened and what we have done on our news and events pages. Anyone wanting to join the Management Committee to help us develop our initiatives and make them happen should please contact us. Or you may just want to help with one of the projects without joining the Committee. We welcome any help and are particularly interested in anyone with expertise in communication, social media, publicity and PR, again, please contact us. Please print off our poster and display it. Write to the Prime Minister explaining why a third runway at Heathrow is undeliverable. Information to help you here.